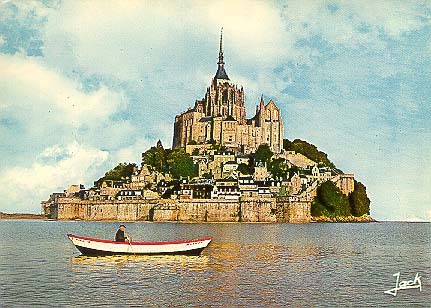 Mont Saint-Michel is an island castle built in a bay located between Britanny and Normandy. 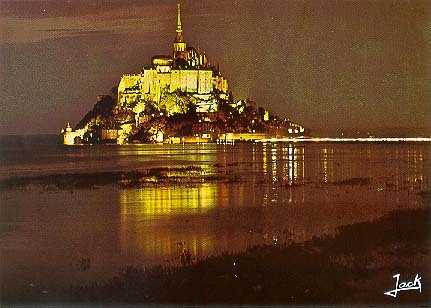 The location is superb, the Mont itself and its castle, church, ramparts, etc.are well worth the visit. When they say in the brochures that the tide comes in at the speed of a galloping horse, they're not kidding. In one hour (the time to eat dinner), we went from low tide and sandy beaches to being on an island.